Every day, the supernatural realm is reaching into your physical world. Have you ever noticed, just for a moment, the fragrance of flowers or glimpsed a breathtaking light from the corner of your eye? Or felt a comforting presence even though no one was near? You may have just encountered an angel. 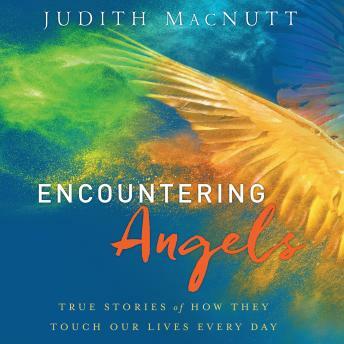 In this audio book, Judith MacNutt shares incredible, true-life stories of angelic encounters from people around the world. Through these accounts and biblical passages, you will discover the gifts and guidance God offers through these heavenly beings — and the truth about their roles in your life as bringers of peace, comfort, warning, protection, and love. Any time you feel lost, afraid, confused, or desperate, the amazing stories in this audio book will connect you to God’s encouragement, comfort, and healing.